Do you have a neighbor, friend, colleague, or co-worker that might be interested in solar? How would you like to earn up to $150 just for referring them to HQ Solar? When you make a referral to HQ Solar we will reward you with up to $150 depending on the value of your referral's purchase. 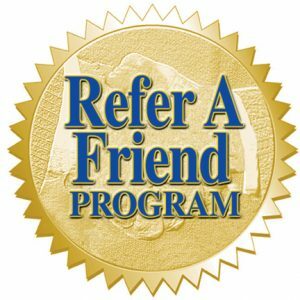 * The offer will be activated by completing the referral form or calling our office with the details of the referral. Your cash reward will be paid once your referral signs up for a solar system with HQ Solar.